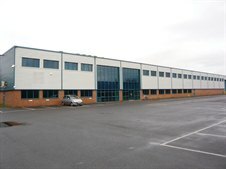 Cattaneo Commercial have been appointed sole letting agents on Alderson Park, Pool Road, West Molesey which comprises 6 substantial industrial and warehouse buildings, all with good loading access and car parking and most with an element of offices. The units range in size from 12,570 sq ft up to 67,635 sq ft. The majority of the units are adjacent to each other so can accommodate larger requirements. For further information please contact Andrew Armiger on 020 8546 2166.